On the last week of May 1871 Paris was burning. The terrible days which will be remembered as Semaine sanglante have been thoroughly studied by scholars; and not just the events (the siege of Paris, the resistance of the Communards, the political and diplomatic background of the civil war), but also the legends and the false reports that spontaneously or artificially proliferated through the soldiers and the public opinion of that time. Historians have become acquainted with the legend of the pétroleuses, the sexist myth, studied by Edith Thomas, that represented the fire of Paris as the work of a group of “hysterical” women. The symbolic value of ruins and of fire itself has also been the object of important studies. In his book Paris en ruine, Eric Fournier has shown how the baroque (and later romantic) aesthetics of ruins shaped the mental schemas through which contemporaries tried to decipher the mystery of the new relics. Tourist guides were immediately published, in various languages, after the end of the war, that celebrated the ruins of Paris as modern Fori imperiali. But it is surprising that not a single study has been devoted, until now, to a supposed event that had a huge echo at the time: between the 24d and the 30th of May 1871 the newspapers of the major cities in the world trumpeted the destruction of the Louvre. Great intellectuals of the time wrote about it, sometimes recalling the shock of those days after many years (it’s the case of Friedrich Nietzsche and Gustave Le Bon). In my presentation, I will focus on the story of this false starting by two major events that occurred in 1867: the Universal Exposition in Paris (probably the date of birth of modern mass tourism) and the installation of the transatlantic telegraph. A message that, in 1866, would have taken around ten days to travel from Europe to the New World now took mere minutes. 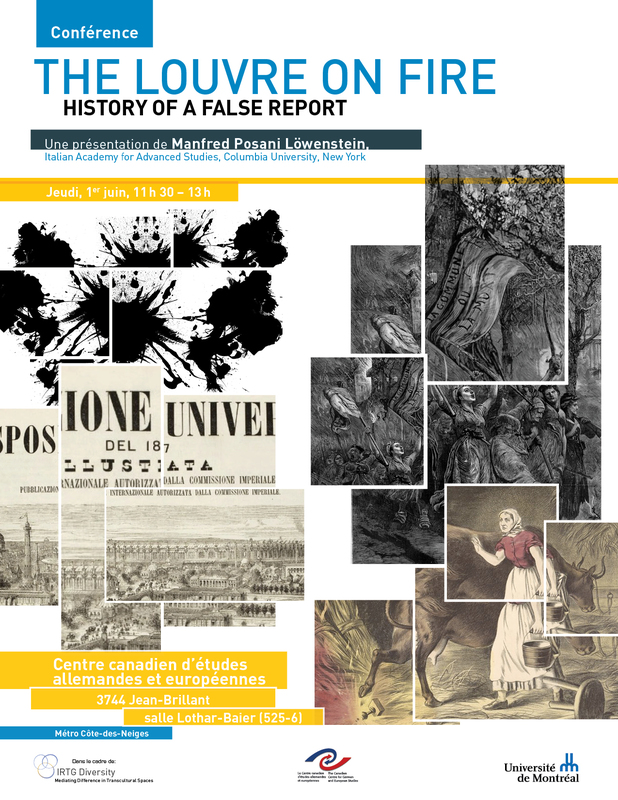 The following is an overview of a study that I have only just begun, the object of which is – in all probability – the first case of a false report distributed by mass media on a global scale. La présentation sera donnée en ANGLAIS.